Sofia Sensory Journeys present an unusual point of view towards the city and its many dimensions. These journeys allow us to reach a deeper state of awareness about the space outside and within ourselves; Journeys in which you are simultaneously a leader and a follower in a labyrinth of symbols and images traversing the very fabric of the city where the buildings around you become the decor and the passers-by – the actors in a unique performance which is happening only HERE and NOW. Created by the Sensory Theatre Sofia and the Institute for Silence Research the City Sensory Journeys are an experience beyond words engaging all senses of the participants (sights, hearing, touch, smell, taste). These are journeys for those of you who like to explore and experiment, and those of you looking for the poetry and the soul of the world around you. Last but not least, these are journeys which help you slow down, stop the time, even lose yourself completely. It depends entirely on you how far you will go. 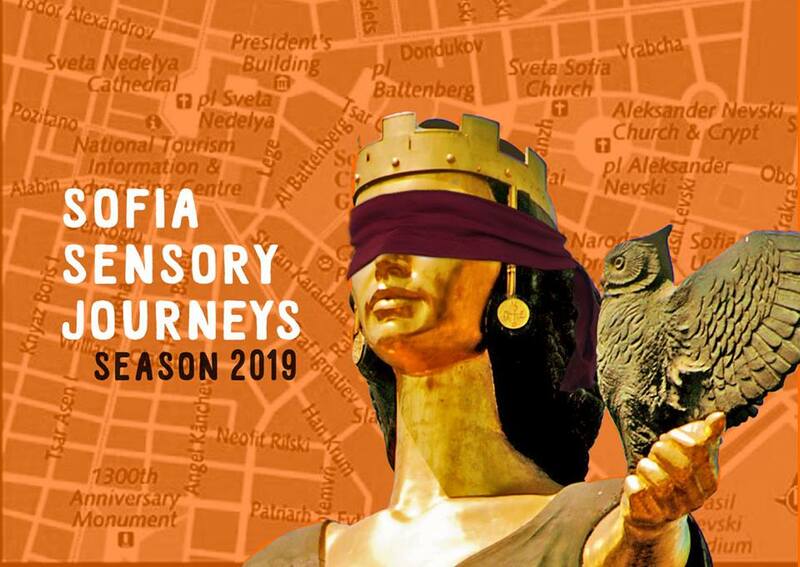 The Sofia Sensory Journeys take place on specific dates set by the organizers and their routes are a secret revealed only to the participants. The maximum number of people who can take part in each journey is 12 and there are a couple of different formats you can choose from if you want to participate as the sensory journeys can take from 2 to 4 hours. Additional information will be sent to everybody who signs up via email.